Late Wednesday night, a sixth bout was added to the “UFC on FX: Maynard vs. Guida” roster. 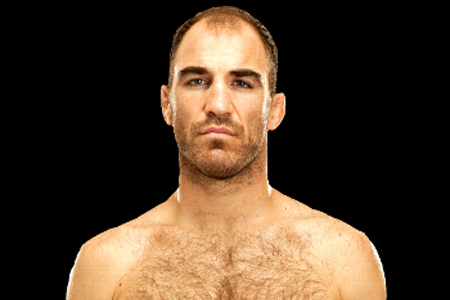 Welterweight Brian Ebersole (Pictured) will put his 10-fight winning streak on the line when he faces T.J. Waldburger in the June 22nd event. Of the six scraps confirmed for the freebie fight card thus far, four of them are now of the 170-pound variety. Since joining the big leagues in November 2011, Ebersole has posted wins over Chris Lytle, Dennis Hallman and Claude Patrick, respectively. The last time the 31-year-old lost a bout was to Hector Lombard in September of 2008. Waldburger has been victorious in three of his four Octagon outings, including his past two bouts. Twelve of his 15 career wins have come via submission. Revel in Atlantic City, New Jersey is expected to serve as host. FUEL TV will broadcast the main card live beginning at 9PM ET/6PM PT. Lightweights Clay Guida and Gray Maynard will headline the festivities.